It is easily installed and field managed without the need for harnesses, antennas or external power – the SmartOne can be powered by 4 “off the shelf” AA 1.5V lithium batteries (included) providing 3+ years of battery life or hard-wired into an external power supply. The SmartOne utilises motion sensors, comparative GPS positions and custom configured sensors to gather and transmit asset status information. Each SmartOne is custom configured to your needs and can provide intermediate and emergency alerts by email and/or text/cellular. 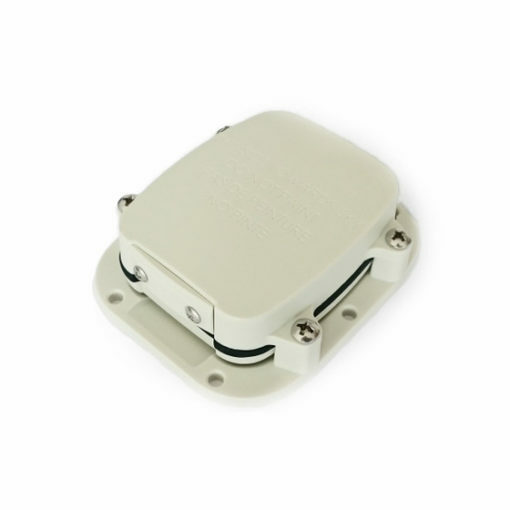 The SmartOne C is a small, portable satellite asset tracker that provides customisable, cost-effective monitoring of a wide variety of assets such as cars, trucks, trailers, cargo containers, construction equipment, boats and any other mobile asset. The SmartOne C utilizes motion sensors, comparative GPS positioning and custom configured sensors to gather and transmit information such as movement and location reports, stop/start messaging and theft recovery alerts using Globalstar’s regional simplex satellite network. In addition to positional information, the SmartOne C transmits other message types that include battery status, input alarm status and diagnostic information. Using internal lithium batteries, the SmartOne C is fully portable and can easily be moved from asset to asset and used covertly if required. The device is capable of operating for up to 3 years on internal batteries. Alternatively, the SmartOne C can be permanently mounted and operated on 10 to 48 Volts DC through an optional line power connection cable. Each SmartOne C is configured to track its asset’s specific needs and provide intermediate and emergency alerts by email and/or text. The SmartOne C is configured using a computer and USB connection cable and the configuration software offers a wide range of customisable configuration options such as message frequency, movement and motion sensitivity levels and geo-fencing capabilities. Global Coverage With coverage in over 120 countries across the world and many ocean covered areas, the SmartOne can keep you in contact with friends, family and colleagues in areas where mobile phones don’t offer a connection, even in the most remote areas of the world. Standard Messaging Mode In Standard Messaging Mode, the SmartOne C reports its GPS position at regular time intervals that are programmed during the initial configuration process. The message interval can be programmed in 1 minute intervals from 35 minutes up to 45 days and messages will be transmitted regardless of whether the asset is moving or stationary. Alternatively, the device can be configured to send messages only when the asset is in motion with messages transmitted from as little as every 5 minutes. Reduced Messaging Mode Reduced Messaging Mode reduces the cost associated with transmitting messages over the Globalstar satellite network by sending messages at a minimal message interval when the asset is stationary or in a defined area and transmitting at a higher message interval when the asset is moving or changing locations. Theft Recovery/ Geo-Fencing Mode The Theft Recovery mode allows to you configure the device to differentiate between authorized and unauthorized movement of an asset. While the asset remains in an authorised state the SmartOne C will send out infrequent messages. If the SmartOne C detects an unauthorised state, such as movement out of a pre-defined area, it can be configured to send out high frequency messages to enable the unauthorised movement to be monitored closely. Geo-Fencing In conjunction with SatPhone Track, our online tracking portal, the SmartOne satellite asset tracker offers a geo-fencing feature. This allows you to predefine a set of geographical boundaries and be alerted by email when the device enters or exits the geo-fenced area. Dust & Water Resistant The SmartOne C satellite asset tracker is designed to withstand the harshest weather conditions. SatPhone Track portal: The SmartOne C satellite asset tracker is compatible with SatPhone Track, our online tracking portal. SatPhone Track makes use of the variety of advanced tracking functions available on the SmartOne, such as a breadcrumb trails of historic movements, live view (position of last message transmitted) and alarm and input alerts. Asset locations and movements are tracked in real-time via GPS updates and available to view through a Google Earth based interface. These tracking functions are included in the monthly subscription.